HID Global is a pioneer of securely connecting manufacturing and facilities equipment, medical devices, inventory, and many other physical assets to local and web-based business applications using identification and sensing technology. For decades, RFID transponders have been used across numerous industries to simplify inventory management and tracking and automate operational processes. HID Global’s visionary solutions continue to fuel limitless opportunities for partners and users; adding trust and security to enable novel Internet of Things (IoT) applications as part of HID Global’s commitment to innovation in a rapidly growing market. Providing a safe environment for a company’s most valuable assets, people and property is paramount for security and facility professionals. 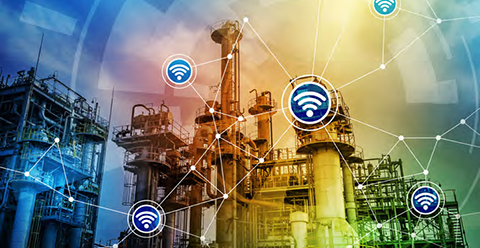 Leveraging secure wireless identification technologies, organizations can implement trusted security patrols across the facility or campus, streamline maintenance and inspection of assets, automate and simplify key management and much more. Electronic Visit Verification (EVV) using secure NFC technology ensures each-in-home healthcare visit has actually taken place for the prescribed amount of time. Implementing secure EVV delivers proof of presence, accountability and accuracy to prevent medical billing errors and deliver peace of mind for patients, family members and healthcare providers. Protect your brand against counterfeit products, increase consumer engagement and deepen customer loyalty by implementing stronger brand protection technology. Adding HID Trusted Tag® Services, combines trusted Near Field Communication (NFC) or BLE and cloud-based authentication to uniquely add trust to IoT applications. Unique and trusted identities can be simply applied or embedded on everyday objects that are read by NFC-enabled mobile devices. Companies want to differentiate their brand’s offering, increase customer engagement and deepen consumer loyalty while combating the ongoing threats of counterfeiting. Safeguard and enhance your brand’s experience by implementing and stronger brand protection, along with secure, interactive marketing campaigns.